Just west of Lake City, Pennsylvania the Pennsylvania Railroad's Erie & Pittsburgh Branch from New Castle met the New York Central mainline at a location called Girard Junction. 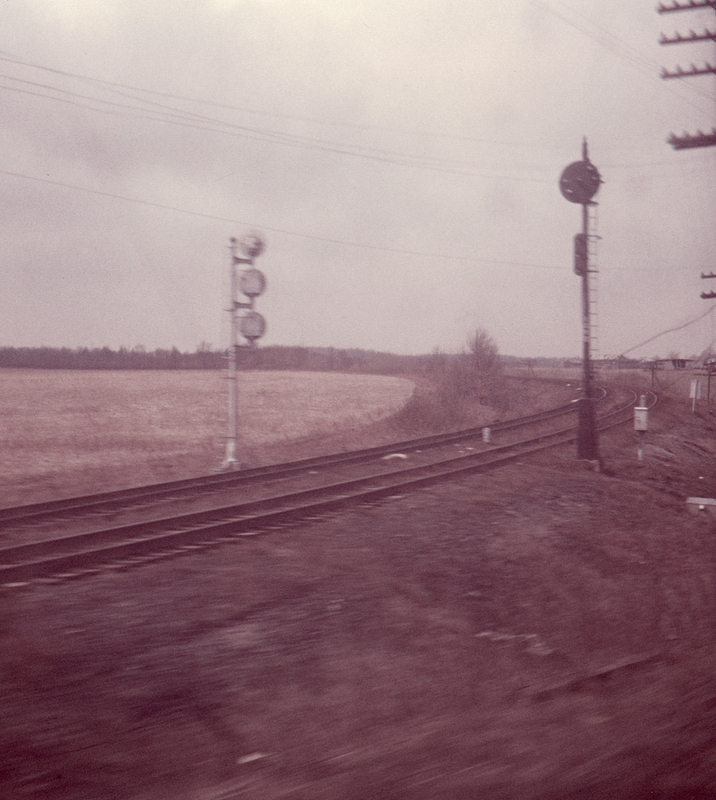 Here, seen from one of Penn Central's few remaining Buffalo-Chicago trains, one can see the Central-style tri-light signals protecting entry to the Central, and a Pennsylvania position light signal controlling access to the branch. From here the line ran south to such towns as Jamestown, Greenville and Sharon, before reaching New Castle. This line is long gone.